Hyundai will showcase its high performance sub-brand N at the Frankfurt Auto Show September 15th with the New Generation i20 WRC (World Rally Championship) car, the first prototype for the vehicle. The Hyundai N 2025 Vision Gran Turismo concept highlights sustainable technology and race car design. 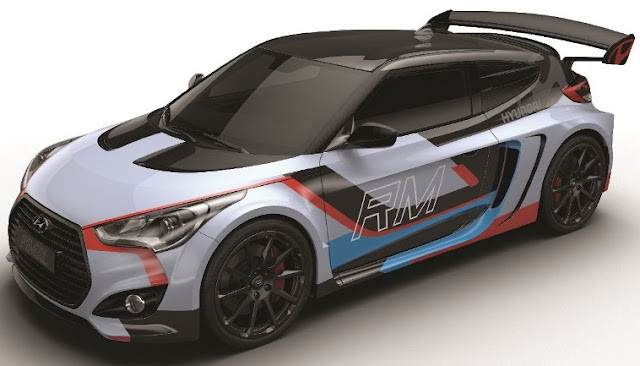 Hyundai RM15 concept car represents how the Hyundai N driver-focused technologies could come into production. The mid-engine concept, with a 296 horsepower 2.0-liter engine. Hyundai N 2025 Vision Gran Turismo concept is a new project by Hyundai coming exclusively to PlayStation®’s Gran Turismo video game series. 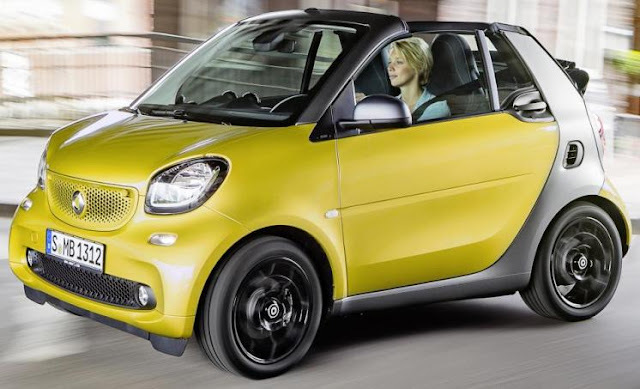 The new smart fortwo cabrio, with the same 89 horsepower three- cylinder engine as the coupe, can be combined with the five-speed manual transmission or the fully automatic twinamic dual clutch transmission. At the touch of a button its 19.4 sq-ft sliding canvas sunroof soft top completely opens in twelve seconds and removable roof bars can be stowed on the inside of the tailgate. With the 3-button key the soft top can also be opened from outside the car by remote control. The rear windscreen is heated and is made of glass. The torsional strength has been improved by around 15 percent compared with the predecessor. The open-top two-seater in pure (standard), passion, prime and proxy trim levels, will make its world premiere in a few weeks at the Frankfurt Auto Show and will launch in the U.S. in early summer of 2016. The 2016 Hyundai Accent Sedan and Hatchback (above), powered by an all-aluminum 137 horsepower 1.6-liter Gamma four-cylinder engine mated to a 6-speed manual transmission gets up to 27 mpg city and up to 38 mpg highway EPA-estimated fuel economy. The Accent, which also offers a 6-Speed Automatic Transmission w/ SHIFTRONIC®, receives minor changes, including trim name changes from GLS and GS to Accent SE Sedan and Accent SE Hatchback. Accent Hatchback continues to offer a Sport trim, with sportier visual cues and driving dynamics over the SE trim. Accent offers a standard 6-speaker, 172-watt audio system. The 2016 Accent arrives in dealerships this month at a starting price of $15,570 (includes freight charge of $825). The 2016 Subaru BRZ starting at $26,190 (including $795 destination & delivery), powered by a 200-horsepower 2.0-liter BOXER engine, comes standard with a rear vision camera and is available in Premium or Limited trims with either a 6-speed manual or optional 6-speed Electronic Direct-Control automatic transmission. The BRZ receives the SUBARU STARLINK 6.2” Multimedia System with a 6.2-in. single-touch gesture display. The 2016 BRZ models will begin arriving in dealerships this Fall. The all-new 2016 Lincoln MKX, starting at $38,995 (including destination and delivery charges) comes standard with a 303 horsepower 3.7-liter V6 and has an available 335 horsepower 2.7-liter twin-turbocharged Ti-VCT EcoBoost V6 engine, both mated to a six-speed automatic transmission with push-button shift and SelectShift®. Front-wheel drive is standard, Intelligent All-Wheel Drive optional. Available options are Pre-Collision Assist with Pedestrian Detection that activates at speeds above 3 mph. Other features include, Auto Hold which releases the brakes when the accelerator pedal is pressed, a camera system that offers a 180-degree split viewand a 360-degree view shows up to 7 feet all around the vehicle. The 12-sensor ultrasonic system enables the full range of available parking-assist features: front rear side sensing, perpendicular and parallel parking and park out. The new 2017 Mercedes-AMG C63 Coupe is powered by a 469 horsepower 4.0-liter V8 biturbo engine in standard trim or 503 horsepower in the C63 S, closely related to the engine in the Mercedes-AMG GT, featuring two turbochargers positioned in-between the engine's cylinder banks, otherwise known as a "hot inside V" and mated to the AMG SPEEDSHIFT MCT 7-speed sport transmission. The C63 S Coupe accelerates from 0 to 60 mph in 3.8 seconds to a top speed of 180 mph, and the C63 Coupe in 3.9 seconds reaching a top speed of 155 mph. The AMG C63 Coupe comes standard with ATTENTION ASSIST drowsiness detection system, COLLISION PREVENTION ASSIST PLUS and AMG RIDE CONTROL suspension with electronically controlled shock absorbers with adjustable damping in three stages for sportiness and long-distance comfort. The new 2017 Mercedes-AMG C63 Coupe will be available at U.S. Mercedes-Benz dealers in the summer of 2016. The Audi e-tron quattro concept is an electric SUV positioned between the Audi Q5 and the Q7 in size, so a Q6 on that metric, and borrows from the Audi R8 e-tron sports car for the drive system, with a predicted range of more than 310 miles. Audi will show the e-tron quattro SUV concept at the Frankfurt Auto Show next month. This will compete with Tesla's Model X electric SUV coming soon for those already in line and early next year for new reservations. Currently the maximum posted range for Tesla is 270 miles. The 2016 Honda Accord gets a mid-cycle refresh offered with the direct-injected 2.4-liter inline i-VTEC™ 4-cylinder engine in LX/LX-S, Sport, EX and EX-L trims and the 3.5-liter VTEC™ V-6 in EX-L and Touring trims and mated to a CVT (continuously variable transmission) for the 4-cylinder engines, 6-speed manuals for the 4-cylinder and V-6 engines, and a 6-speed automatic for V-6 models. 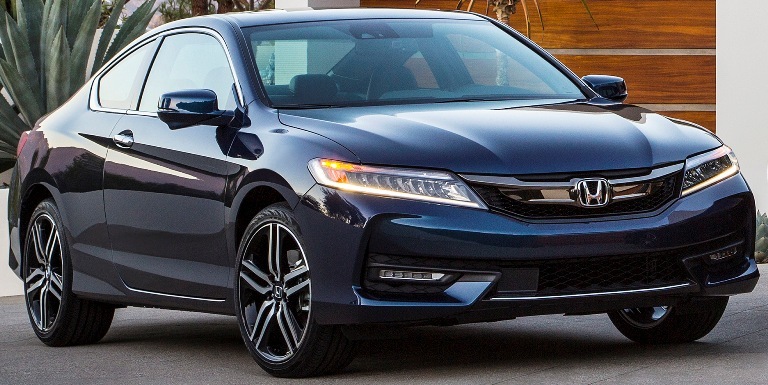 The MSRP for the 2016 Accord Sedan LX with 6-speed manual transmission remains at $22,925 (including $820 destination charge) and $23,725 for the Sedan LX with continuously variable transmission. The Accord Coupe LX-S is also unchanged at $24,595 for the 6-MT and $25,445 for the CVT. All 2016 Accords feature a standard Multi-Angle Rearview Camera and Expanded View Driver's Mirror and on Touring trim models, new auto high-beam headlights. The Accord sedan goes on sale tomorrow and the Accord Coupe on August 26. 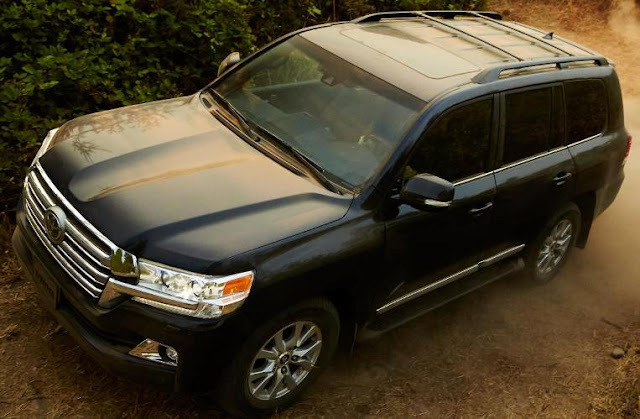 The 2016 Toyota Land Cruiser, new from the A-pillar forward, with a full-time 4WD system powered by a 381 horsepower 5.7-liter DOHC V8 engine featuring Variable Valve Timing with intelligence mated to an 8-speed automatic transmission, comes fully equipped and with seating for eight. Downhill Assist Control helps hold the vehicle to a target speed with minimal driver intervention and Hill-start Assist Control helps prevent roll-back when stopping and then starting again on a steep incline or slippery surface. The new Toyota Safety Sense-P system includes Frontal Collision Avoidance, at speeds below 24 mph (including pedestrian protection), Frontal Collision Mitigation (also for speeds below 24 mph); Lane Departure Alert; Auto High Beams and Dynamic Radar Cruise Control. There's a new Blind Spot Monitor, Rear Cross Traffic Alert and a backup camera. EPA fuel efficiency is 13 mpg in the city, 18 mpg on the highway and 15 combined. Land Cruiser’s rear-seat DVD entertainment system features two individual 11.6-inch display monitors, RCA jacks and separate HDMI input for individual playback. The new Lamborghini Aventador LP 750-4 Superveloce Roadster featuring a two-piece carbon fiber hardtop, with only 500 available worldwide, has a 750 horsepower 6.5-liter V12 engine mated to a 7-speed ISR transmission driving all four wheels producing 0-62 mph acceleration of 2.9 seconds to a a top speed of more than 217 mph. Deliveries of the Aventador LP 750-4 Superveloce Roadster begin in early 2016 with base MSRP pricing of $530,075. 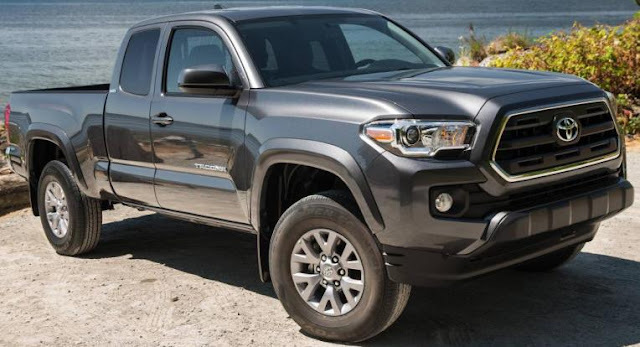 The all-new 2016 Toyota Tacoma (Access cab above) will feature a 159 horsepower 2.7-liter DOHC four-cylinder engine with VVT-i that gets EPA estimated 19 city/23 highway/ 21 combined mpg for the 4x2 with an automatic transmission and Tacoma also offers an all-new 278 horsepower V6 with a 3.5-liter Atkinson cycle with VVT-iW (Variable Valve Timing with Intelligent Wider Intake) equipped with Toyota’s D-4S technology, featuring both direct and port fuel injection getting an estimated 19 city/24 highway/21 combined mpg for the 4x2 automatic. Both engines will be paired with a new six-speed automatic transmission with electronic shift and the V6 can also be mated to a new six-speed manual transmission and the four-cylinder to a five-speed manual. The Tacoma comes in Access cab or Double cab in SR, SR5, TRD, TRD Sport, TRD Off Road, Limited (double cab only) trims in either two-wheel and four wheel drive with two engine options and mated to a six-speed automatic or new six-speed manual transmission or a five-speed manual for the four-cylinder engine. 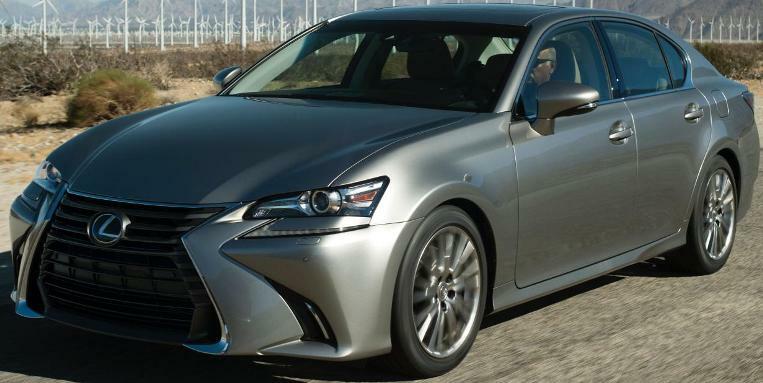 The 2016 Lexus GS 200t rear-wheel drive sedan with a 241 horsepower 2.0-liter turbocharged four-cylinder engine teamed with an eight-speed automatic transmission gets an estimated of 33 mpg highway as the newest member of GS line-up. The GS 350 has a 311 horsepower 3.5-liter V6 engine. The GS 450h, with an Atkinson cycle 3.5-liter V6 engine and a water-cooled permanent-magnet electric motor for 338 total system horsepower, has EPA estimated 29 mpg city, 34 mpg highway and 31 mpg combined fuel economy ratings. The BMW Concept M4 GTS, in frozen dark grey metallic, with the acid orange accent, with manually adjustable front splitter and rear wing is powered by a turbocharged six-cylinder in-line engine with a water injection system to increase output and torque. More details on the production version will be revealed at a later date. The all-new 2017 C300 and C300 4MATIC Coupe, with a 3.1 inch longer wheelbase is 3.7 inches longer, 1.6 inches wider and lighter than its predecessor, powered by a 241 horsepower 2.0L four-cylinder engine. The Coupe comes with an optional AIRMATIC air suspension on the front and rear axle giving the driver ride mode choices of "ECO", "Comfort", "Sport", "Sport +" and "Individual.” ATTENTION ASSIST warns the driver of inattentiveness and drowsiness, COLLISION PREVENTION ASSIST PLUS features an acoustic warning for the driver at speeds above 4 mph and Adaptive Brake Assist to help avoid collisions, DISTRONIC PLUS with Steering Assist can adjust the speed of the vehicle in line with a slower-moving vehicle ahead in a speed range from 0 to 124 mph if required, and the PRE-SAFE® Brake can detect pedestrians and brake autonomously if the driver fails to react. 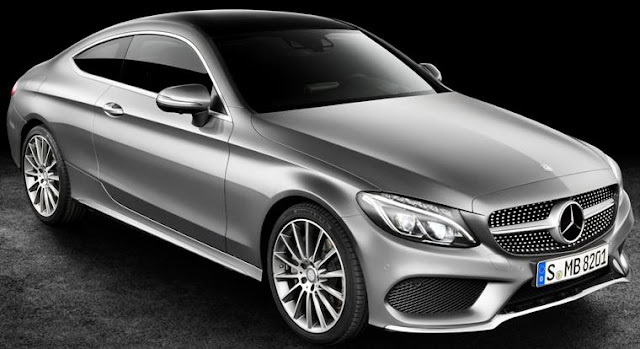 The all-new MY2017 C300 and C300 4MATIC Coupe arrives at U.S. dealers in Spring of 2016. 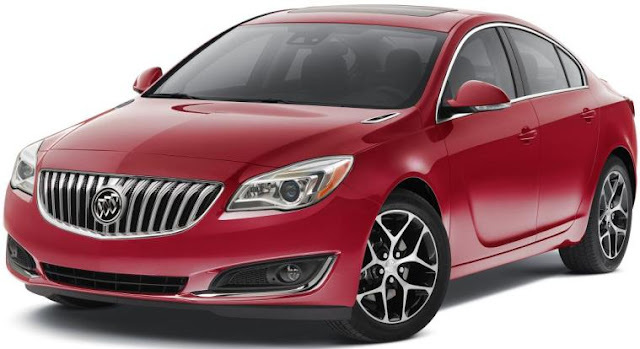 2016 Buick LaCrosse, Regal (pictured above) and Verano Sport Touring (ST) models features special 18-inch wheels with machined faces and black “pockets,” and a rear spoiler, go on sale this Fall along with the Encore Sport Touring. The new 2016 Infiniti Q70 Premium Select Edition, on standard wheelbase Q70 3.7, Q70 3.7 AWD, Q70 5.6 and Q70 5.6 AWD models (non-Hybrid), offers dark chrome trim, a darkened lower rear bumper, a rear decklid spoiler and color 20-inch aluminum-alloy wheels with 245/40R20 all-season performance tires. This Q70 will be available at Infiniti retailers nationwide beginning in November. 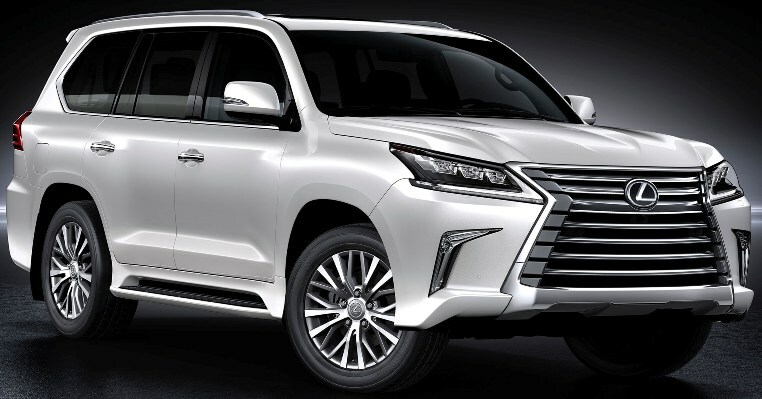 The 2016 Lexus LX 570 eight passenger body-on-frame SUV gets a restyled front end, new standard LED headlights, turn signals and fog lights, taillights, rear bumper, 20-inch split 10-spoke wheels, and available 21-inch 10-spoke wheels. Powered by a 383 horsepower 5.7-liter V8 engine now mated to an eight-speed automatic transmission which replaces the former six-speed. The new Drive Mode Select tailors powertrain and suspension responses with a dial on the console. ECO adjusts powertrain responses and air conditioning to prioritize fuel-efficient driving, COMFORT mode optimizes AVS (Adaptive Variable Suspension) damping for a smooth ride, SPORT S mode dials up powertrain response and dials down power steering assist for a sportier driving feel, and SPORT S+ mode adds firmer damping control from AVS to prioritize handling agility. All-new Ford F-650/F-750 medium-duty trucks, with a new look inside and out, rolled off the line today for the first time in the United States at Ford's Ohio Assembly Plant after previously being built in Mexico. 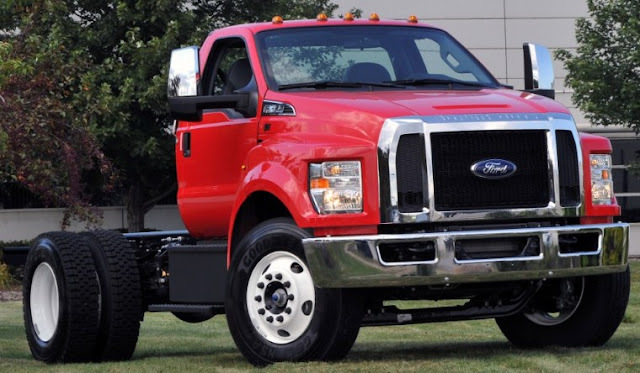 Along with its 6.7-liter Power Stroke® V8 diesel engine option, Ford remains the only automaker to offer a gasoline-powered engine in the medium-duty truck segment. The 2016 Ford F-650/F-750 trucks offer a 320 horsepower 6.8-liter V10 with the heavy-duty TorqShift six-speed automatic transmission and can be factory-prepped for converting to compressed natural gas or liquid propane gas as cost-effective alternatives to gasoline and a 6.7-liter Power Stroke® V8 diesel engine option. The move from Mexico to Ohio helps secure more than 1,000 hourly UAW jobs and a $168 million plant investment in the United States. The Hyundai “Vision G” Concept Coupe, from Hyundai's U.S design team led by Christopher Chapman, resembling a Bentley with luxury in mind, is powered by their high-pressure direct injection 420 horsepower 5.0-liter Tau V8 engine. The Hyundai “Vision G” Concept Coupe is on tour, first Los Angeles, then Pebble Beach. The Lexus IS luxury sport sedan, with rear-wheel drive, all-weather drive and F SPORT variants, adds the 200t, available as RWD only, powered by a 241 horsepower 2.0-liter twin-scroll turbocharged inline four-cylinder engine with intercooler paired to an eight-speed automatic transmission. The IS 200t joins the IS 300 AWD with a 255 horsepower 3.5-liter V6 engine paired to a six-speed automatic transmission and the IS 350, in both RWD and AWD and now with standard 18-inch five-spoke wheels with all-season tires, powered by a 306 horsepower 3.5-liter V6 mated to an eight-speed, Sport Direct Shift automatic transmission. Also new for 2016 is a heated steering wheel as a standalone option, a Premium Plus Package with power/tilt telescopic steering wheel and rain-sensing wipers and Lexus Enform Service Connect. The IS 250 and IS 250 AWD are discontinued. The all-new 2016 Audi A3 Sportback e-tron® plug-in hybrid electric vehicle, the first electrified Audi sold in the U.S. has a 204 horsepower 1.4 liter TFSI® engine combined with a liquid-cooled, permanent magnet-driven electric motor mated to a six-speed S tronic® transmission. The Audi A3 Sportback e-tron® will start at $38,825 (including $925 destination charges), the Premium Plus model starts at $42,925 and the Prestige at $47,725 - or less depending on the buyer's qualification for applicable state and federal incentives and tax credits. 240-volt charging replenishes the battery in about 2 hours and 15 minutes. The plug-in hybrid will launch at dealerships nationwide in October. It qualifies for a federal tax credit of $4,168 with buyers in some states qualifying for additional incentives. Tax credits and incentives are subject to availability, and customers should consult their tax professionals and IRS.gov for more information about tax credits and incentives. The all-new BMW 7 Series, in its sixth generation, is driven hard in the film “Mission: Impossible – Rogue Nation,” from Paramount Pictures and Skydance, now in theaters. BMW previously partnered with Paramount on 2011’s “Mission: Impossible – Ghost Protocol.” BMW of North America has a series of “Mission to Drive” marketing initiatives around the film including television, radio and digital advertising. The all-new BMW 7 Series features the world’s first Gesture Control. Pre-selected hand movements in the vicinity of the center console allow the driver to adjust the audio volume control and accept or reject incoming phone calls, among other functions. Mission: Impossible – Rogue Nation topped the box office in its debut weekend bringing in $55.52 million. The 2016 Honda Odyssey, powered by a 248 horsepower 3.5-liter, 24-valve V-6 engine paired with a 6-speed automatic transmission, is now on sale with eight trim levels starting at $30,155 (including $880 destination charge) and running up to a starting price of $45,630 for top-of-the-line Touring Elite. 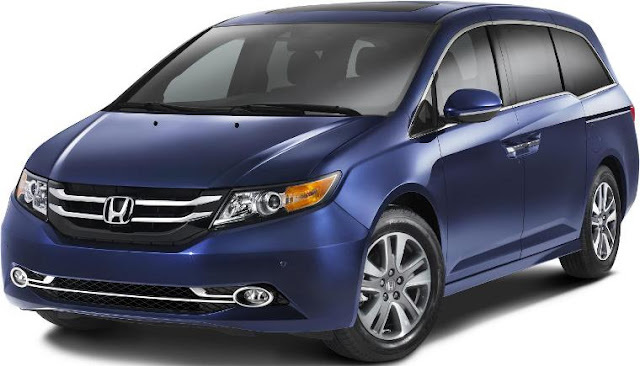 Odyssey comes in LX, EX, SE, EX-L, EX-L with Rear Entertainment System, EX-L with Navi, Touring and Touring Elite models delivering EPA fuel-economy ratings of 19/28/22 mpg city/highway/combined. General Motors (Chevrolet, Buick, GMC and Cadillac) sold 272,512 vehicles in the United States in July 2015, a 6.4 percent increase for the best July since 2007. Year-to-date sales of 1,778,057, is up 3.9 percent over 2014. Ford Motor Company sold 222,731 vehicles last month, up 4.9 percent for its best July U.S. sales performance since 2006. 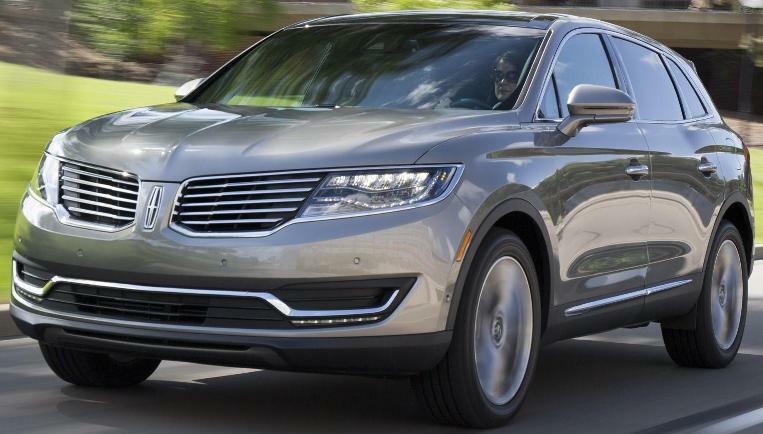 Of that, Lincoln accounted for 9,536, a 21.3 percent jump over July 2014. Year-to-date total Ford sales of 1,516,352 is a 2.3 percent increase over 2014. Toyota Motor Sales, U.S.A. reported July 2015 sales of 217,181, an increase of 0.6 percent from July 2014. Toyota Division posted sales of 187,365, down 0.6 percent while year-to-date sales are 1,259,957, a 3.7 percent gain and Lexus reported July sales of 29,816, up 9.1 percent from July 2014 bring year-to-date sales to 188,664, a 13.6 percent rise over last year. Year-to-date total sales for both brands is 1,448,621, up 4.9 percent over last year. FCA US (Chrysler, Jeep, Dodge, Ram, Fiat, Alfa Romeo) reported U.S. sales of 178,027 units, a 6 percent increase compared with sales in July 2014 for the group’s best July sales since 2005. Year-to-date sales of 1,260,170 is also a 6 percent rise versus last year. American Honda Motor reported sales of 146,324 Honda and Acura vehicles, an increase of 7.7 percent in July 2015. Honda Division sales rose 6.5 percent overall on sales of 131,409 units, while Acura reported a gain of 19.5 percent with 14,915 vehicles sold in July. Year-to-date sales of 899,325 is a 2.7 percent gain over 2014. Nissan Group announced total U.S. sales for July 2015 of 130,872, an increase of 7.8 percent over the prior year and a July record. Nissan Division finished July with 120,439 sales, up 6.7 percent and also a July record. Infiniti sales of 10,433 is a 22.2 percent gain over a year ago. Year-to-date Nissan Group sales is 867,355, a 5 percent increase over 2014. Hyundai Motor America reported its best July ever with 71,013 sold, up 6 percent compared to July 2014. Year-to-date sales of 442,163 is up 2.5 percent over the first seven months of 2014. Kia Motors America had a July sales record of 56,311 vehicles sold, up 7.7 percent over 2014. Kia year-to-date sales of 367,263 is up 5 percent over last year. Subaru of America reported 50,517 vehicle sales for July 2015, a 10.5 percent increase over July 2014 for the best-ever sales month in company history, breaking the previous record set in August 2014 (50,246). Subaru reported year-to-date sales of 322,935 vehicles, a 13.8 percent gain over the same period in 2014. Volkswagen of America reported sales of 31,300, up 2.4 percent over July 2014. Year-to-date sales of 205,742, down 1.9 percent from 2014. Separately, Audi of America reported sales of 17,654 vehicles, an increase of 20.8 pecent. Year-to-date Audi sales of 111,269 is up 12.4 percent over last year. BMW Group in the U.S. (BMW and MINI combined) reported July sales of 32,161 vehicles, a decrease of 0.2 percent from the same month a year ago. Sales of BMW brand vehicles increased 2.1 percent in July for a total of 26,970 compared to July, 2014. For July, MINI USA reports 5,191 automobiles sold, a decrease of 10.7 percent from the same month a year ago. BMW Group year-to-date sales of 231,044 is up 8.1 percent. Mercedes-Benz USA reported record July sales for the Mercedes-Benz brand at 27,526, increasing 1.2 percent from the same month last year. Sprinter delivered 2,163 sales for the month of July, combining with 441 units at smart for a monthly total of 30,130 for MBUSA. On a year-to-date basis, Mercedes-Benz sales totaled 192,496, up 7.7 percent. Adding year-to-date sales of 15,697 for Sprinter Vans and 4,065 for smart, MBUSA posted a grand total of 212,258 units through July. Mazda North American Operations reported U.S. sales for July 2015 of 27,157 vehicles, a 7.1-percent decrease versus July 2014. Through July, Mazda has sold 186,153 vehicles year-to-date, representing a year-over-year increase. Mitsubishi Motors North America reported sales of 7,868, an increase of 23.9 percent from July 2014. Year-to-date sales of 57,412 is up 24.8 percent. Jaguar Land Rover North America reported July 2015 U.S. sales. Sales for both brands hit 6,253, a 7 percent increase from July 2014. Land Rover sales reached 5,011, up 8 percent from July 2014; Jaguar sales were 1,242, up 5 percent from July 2014. Year-to-date in 2015, Jaguar Land Rover U.S. sales hit 46,401, an increase of 15 percent over 2014. Volvo Cars of North America reported U.S. sales of 5,619, a 14.8 percent increase versus July 2014. Year-to-date sales are up 2 percent over the first seven months of 2014. Porsche Cars North America announced July 2015 sales of 4,730 vehicles, up 10 percent over July 2014. Year-to-date sales of 29,868 is 9.7 percent higher than last year.